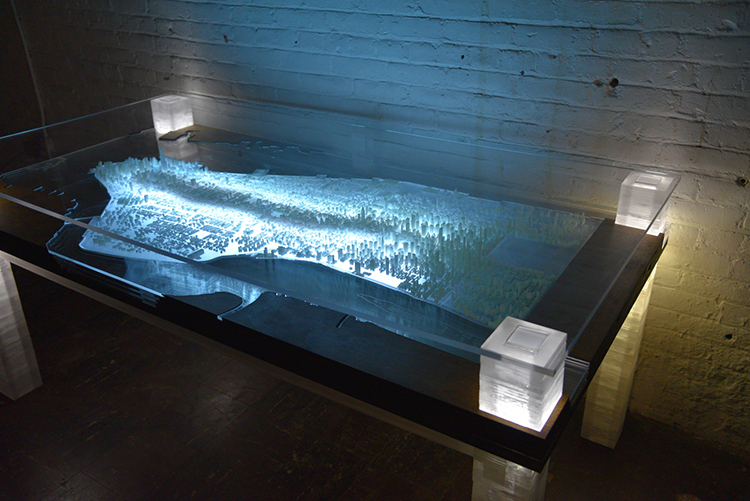 New York City-based designer Troy Huang has created the New York City Desk, a beautiful handcrafted desk that features a detailed map of Manhattan with laser-cut, 3D-printed buildings and colorful LED lights. 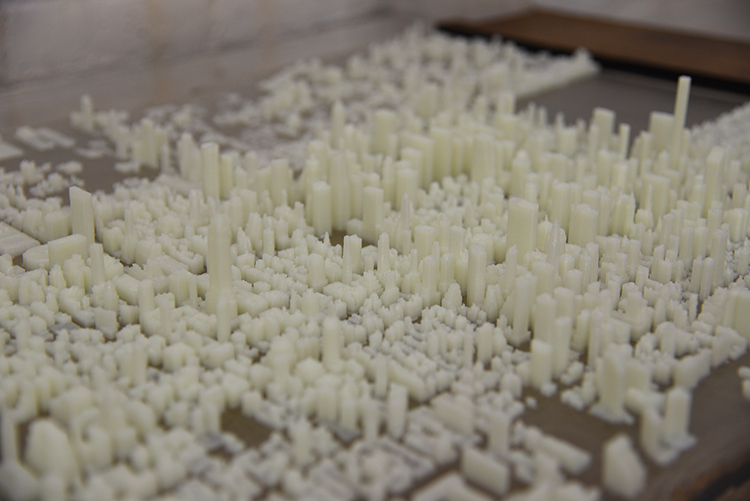 The entire collection of photos showing off Huang’s design process are available to view on Imgur. Troy’s impressive, five-foot-long desk is available to purchase from his website. 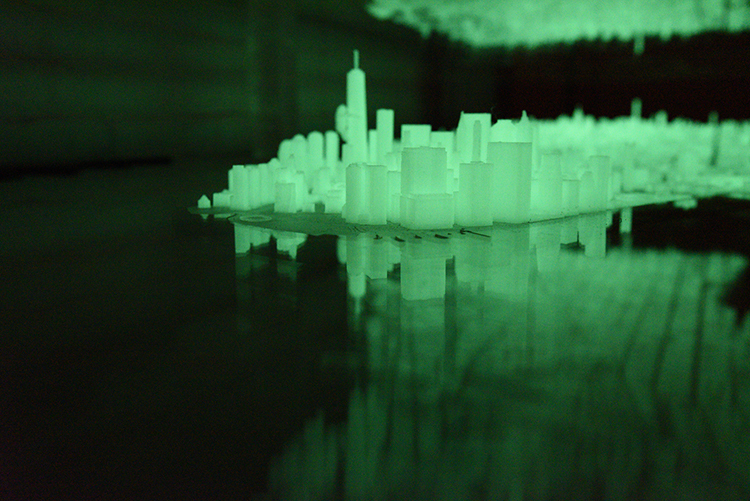 Imagine that the most vibrant and unique city in the world is at your fingertips. 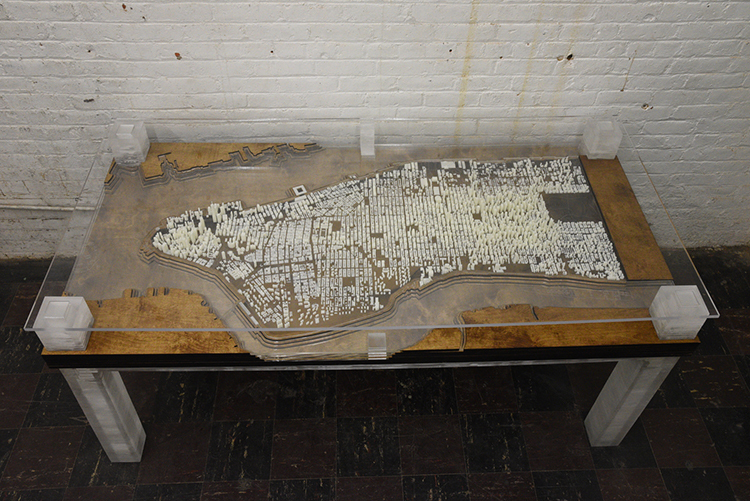 Make that reality with this handcrafted New York City Desk. 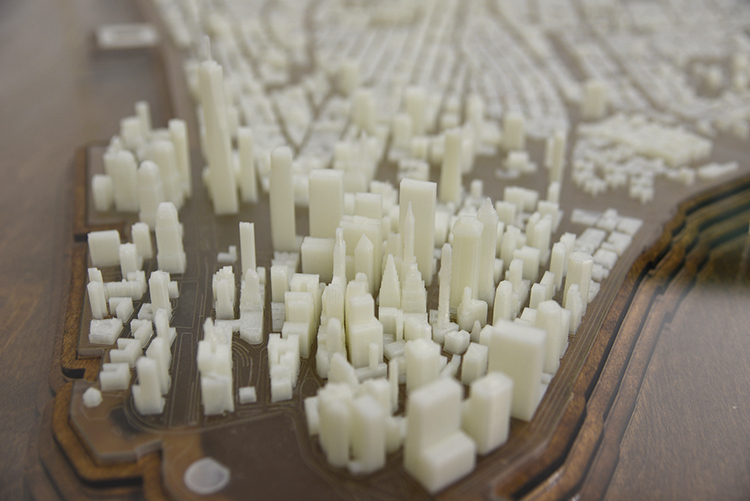 Manhattan comes to life in this vivid and precisely-scaled map with laser-cut, 3D-printed buildings. 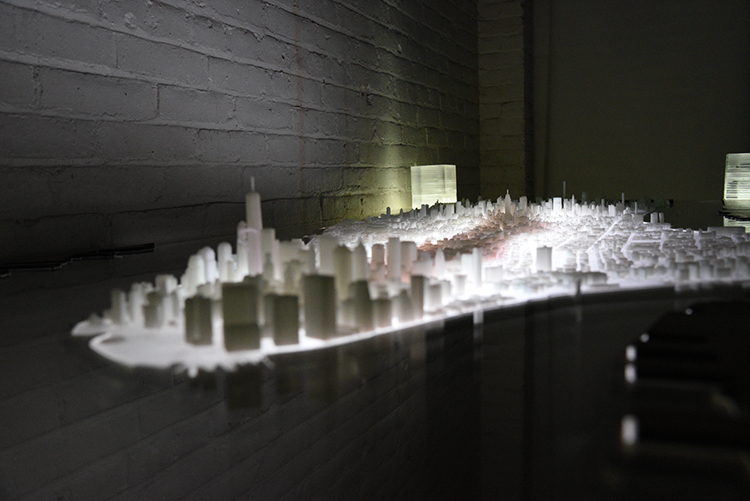 Your home or office will glow with the power of Manhattan captured by this centerpiece.